Inspired by beautiful glass forms commonly found in a science lab, Beaker has a heightened sense of modern industrial styling. The 9W LED source offers energy efficient and cost savings benefits, while the industrial-inspired design complements a variety of mid-century modern interior designs. The one-light woven cloth cord hung mini-pendant has champagne glass with an Antique Bronze frame. One-light mini-pendant finished in Antique Bronze with etched glass shades scaled across a slightly arching, pointed arm. Generously balanced glass shades add distinction and provide pleasing illumination to your room. Coordinating fixtures from this collection let you decorate an entire home with confidence and style. Invite Collection 1-Light Antique Bronze Mini-Pendant Invite provides a welcoming silhouette with a unique shade comprised of an inner glass globe encircled by a translucent sheer Mylar shade. The rich, layering effect creates a dreamy look that is both elegant and modern. Offered as a complete collection, the Invite styling can be carried throughout your home or as a focal style in a special room. 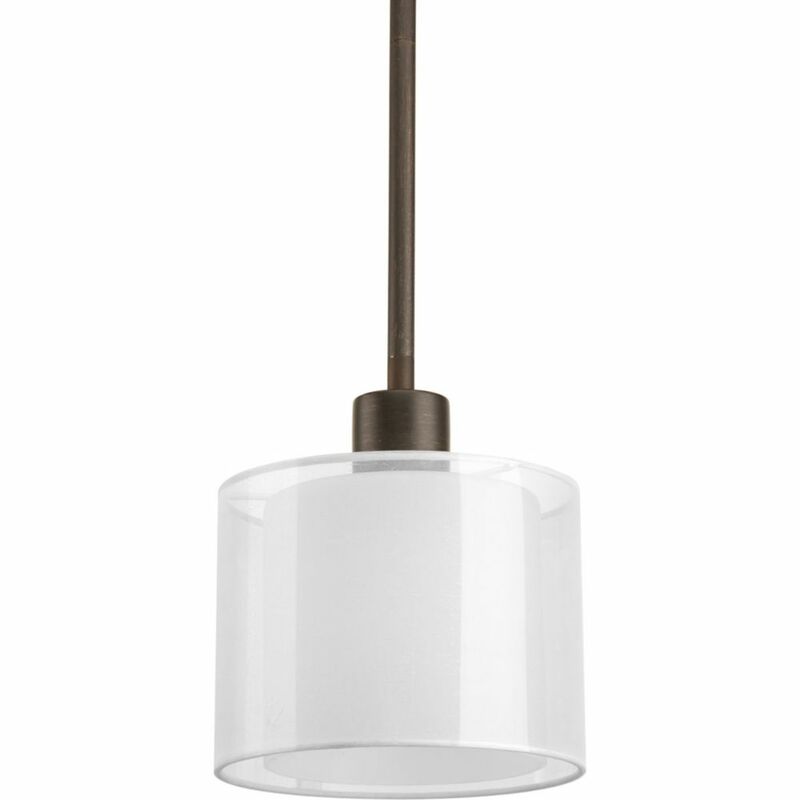 Invite Collection 1-Light Antique Bronze Mini-Pendant is rated 2.5 out of 5 by 2. Rated 4 out of 5 by Anonymous from Purchased for new house The image provided only isn't quite what it looks like in person. The outside circle is a shiny mesh bi didn't end up liking this an ld was tempted to return it. Before I did, I had installed and removed the outside mesh (not physically attached to the glass) and it was PERFECT! It's not how I had probably envisioned the lights above my island, but I'm happy in the end.